7 is the third English-language album from Enrique Iglesias and was released on November 25th, 2003. The album marked an important point in Enrique’s artistic progression, with all of the tracks being co-written and co-produced by Enrique himself. 7 peaked at #34 on the Billboard Top 200 and produced the popular hits “Addicted” and “Not In Love”. 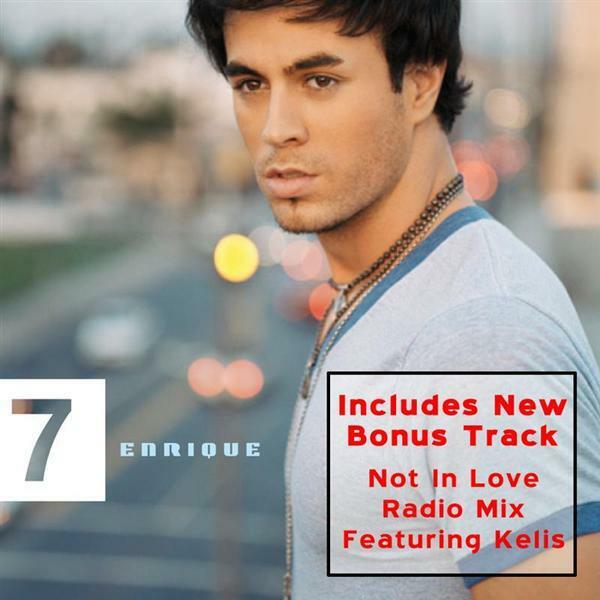 This Enrique Iglesias download is available in DRM-free, MP3 256kbps format. Enrique Iglesias MP3's will play on iPod® and all MP3 players. Individual tracks and samples of the songs from this album are available by clicking on the product image on the left.